Diary of a Mall Girl is out now! 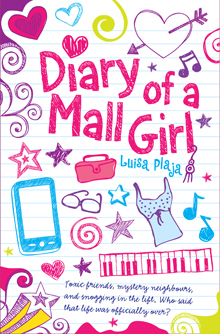 Hurray hurray, it’s publication day for Diary of a Mall Girl! Join Molly and her friends (or are they? ), crushes and troublesome family, and find out what it’s really like to live in a shopping centre. Check out the Curious Fox website for more details. – I’ll be touring the country, visiting libraries and schools to talk about Diary of a Mall Girl and much more. Please watch out for me! – Win £150 of vouchers to spend at ASOS on Sugarscape. 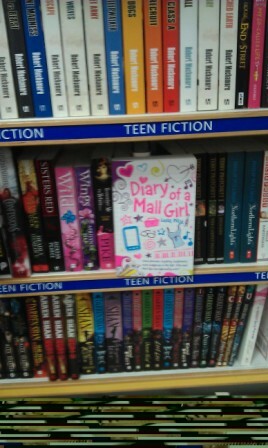 Diary of a Mall Girl is Sugarscape’s ‘new hot read’. Wow! Read all about it here! Thank you very, very much again to all the fabulous readers and publishing professionals who made this possible! STOP PRESS: Some fantastic reviews are up already. Thank you very, very much to the reviewers! Also read this wonderful post on the Curious Fox blog. 1 comment to Diary of a Mall Girl is out now!